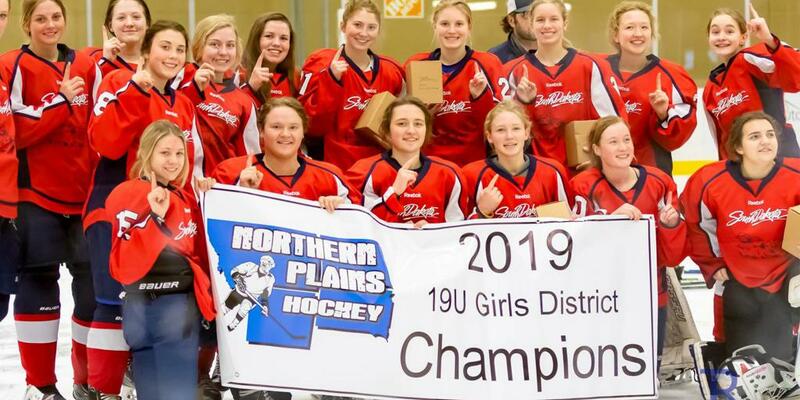 AMHERST, N.Y. — The finalists in the 2019 Chipotle-USA Hockey Girls Tier II 19U National Championships made an emphatic statement in the semifinals, both winning with a shutout. The eventual champion Boston Jr. Eagles won their game, 5-0, over MN PPL Red. After a scoreless first period, they got two in the second and three in the third from five different scorers. Victoria Kennedy got the shutout with 12 saves. Boston had two other shutouts during pool play. They beat Wisconsin Selects, 4-0, with Lydia Rascher in net making 22 saves. The goalies split time in the tournament-opening 11-0 rout of Idaho Vipers. The two only needed a combined nine saves. In the other three games, Boston let up just one goal in each. That's three goals against total in six games. No surprise Rascher led the tournament in save percentage with .985. She was followed by Carter Nelson (Alaska All Stars) at .955 and Mary Jane Peters (Concord) at .952. The Concord NH Capitals beat the East Coast (Massachusetts) Wizards 2-0 in their semifinal match on a first-period goal by Ashlyn Brown and a third-period goal by Mikah Baptiste. Mary Jane Peters got the whitewash with 27 saves. Concord opened the tournament with a 2-1 shootout loss to Monroe County (New York). Monroe went three for four with Lian Sydorowicz getting the clincher while Concord did not convert a single shot. “Right after that [loss], the girls picked it up and it was a charge from there on out,” Concord coach Charles Sisson said. They won their next two games 5-2 over Petoskey (MI) Piranhas and 7-2 over Team South Dakota. In the quarterfinal round, Concord needed overtime to beat Wisconsin, 2-1. Olivia Branch got the game winner. Mary Flanagan of Concord tied for the tournament lead in goals (six) and scoring (10). Caroline Guden (Boston) and Emma Rooks (MN PPL Red) also had six goals. Rylee Glennon (East Coast), Guden, and Clara Wall (Boston) also had 10 points. The assists leader was Brett Stoddard (East Coast) with seven. East Coast led with six power-play goals while Petoskey led with a 31.2 power-play percentage. Boston did not let up a single power-play goal in 12 attempts against them. The Canton/St. 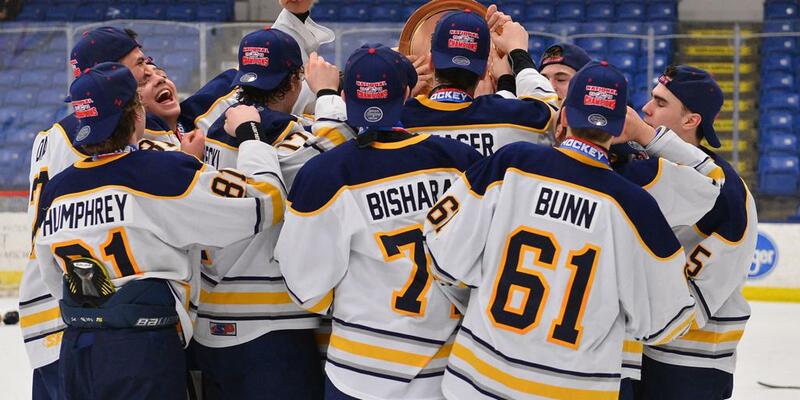 Lawrence (New York) Steel experienced the highs and lows of overtime hockey. They played a back-and-forth game on Thursday against the Vermont Shamrocks, before winning at 1:12 of overtime thanks to Hannah Chilton. Then, in the quarterfinal round, it was scoreless against MN PPL Red after regulation. MN PPL Red finally won it late in overtime on a goal by Emma Rooks. One other shootout game took place in pool play on Saturday when the Idaho Vipers beat the NJ Colonials, 4-3. After each team converted one in the five-person shootout (both on their second shot), it went all the way to the 10th shooter to decide the game. Genevieve Clemens put an end to it. Alaska All Stars were the only other team besides Boston to go 3-0 in regulation time games during pool play. They shutout the Montclair (New Jersey) Blues, 7-0. Journey Miller and Carly Glover got two goals apiece while Kylie Watts made 14 saves for the shutout. Next, they beat the Armstrong (Pennsylvania) Arrows, 5-1. Brooke Power had two goals and Carter Nelson made 21 saves. On Saturday, they defeated MN PPL Red, 6-4, after falling behind 2-1 in the first period. Power and Miller each had two goals. Their excellent run ended at the hands of East Coast, 6-0, in the quarterfinals. Lydia Anderson and Rylee Glennon got two apiece. Sarah Potter made 18 saves before being relieved by Rei Halloran for the third period who made four saves to preserve the shutout.